Having a baby is one of the most fulfilling experiences. Once you become a mother you want to make sure that your little one is healthy, happy and comfortable. When it comes to skin care, babies require more attention than adults. Their skin is more delicate and the fact that it is 20-30% thinner than the skin of an adult, means that everything you put on it, will be absorbed easier and faster. This indicates the huge importance of using the right skin care products for your little one. Products with synthetic ingredients and fragrances can cause rashes, skin irritation and even respiratory issues. 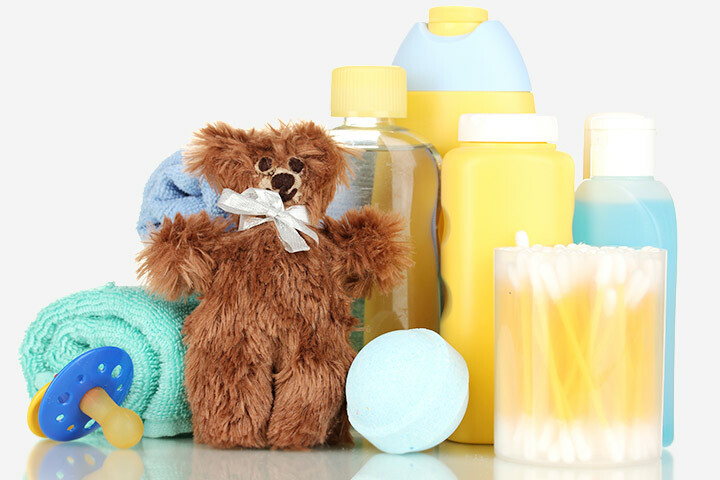 To avoid all these unnecessary problems, switching to natural, non-toxic baby care products is the best and easiest way to protect your little one. Here are some of the reasons why. The skin of a baby is not yet completely developed, which makes it more prone to infections and reactions to harsh chemicals. This is the reason why medical professionals usually recommend using nothing other than water in the first few weeks after the baby has been born. As time passes by, you can gently switch to some natural products with a simple list of ingredients that are easy to understand. The less complicated ingredients you use, the less likely your little one will experience skin irritation. The skin of a baby is also more prone to becoming dry. Using formula or breast milk will keep it hydrated, but still, nothing beats natural baby care products. They will help it to be well moisturized and soft all day long. But besides being better for your little one, these products are also better for the environment as by using them you are helping to preserve the Earth for the next generations. To make the right purchase, here are some tips to follow. First, read the ingredients carefully and make sure that “natural” is not just a marketing ploy. Take a look at certification labels. In Australia, there are seven organic certification companies that are approved by the Australian Quarantine and Inspection Service. Look up their background or you can even contact them for more information. Stay away from ingredients like phthalates, parabens, petrochemicals, fragrance, and dimethicone to ensure you are buying a natural product indeed.